We sell all kinds of books, almost brand new. We also sell signed and rare books which are almost new. 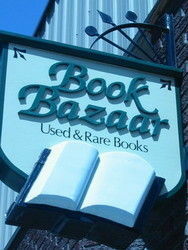 Azure Collectibles, is an on-line bookstore, specializing in old, rare, hard to find books. We are a family owned business. Our passion is to scour auction sales, looking for unusual and rare items. 'Other collectibles' are sold at our booths in antique shops but rare book finds are offered through our Biblio on-line store. Please visit us often! We will be adding new items as they are discovered. "Longevity Challenged" I am primarily a collector of signed first edition mysteries, noir etcetera. I sell, not to make significant profit, but to to trim and manage my collection.At risk of jeopardizing sales, I find that some authors latest books do not reflect their earlier promise. BookOutlet.com (formerly known as BookCloseouts.com) is one of North America's largest sellers of Bargain Books. We buy and sell books about old and new knowledge that may help a person to make the bests decisions in his or her own particular environment and situation. Bytown Bookery is an online bookseller only. I started out as a book collector, but working with books is my passion, so I turned into a bookseller. The selection of books that Bytown covers is varied, something for everyone. Fiction, Business, Children's, Health, Biographies, Humour..Check it out. I am book lover and collector of all types and genres. I am most notably fond of my older, rarer hard cover, first editions. I tend to acquire my books by buying entire inventories at yard sales, and so end up with a lot of book that hold little interest for me, but often are very interesting to others. i have only ever sold one book, on a early test run through Amazon, and lost money due to shipping. I am not out to make huge money, but want to convey these artifacts to the world, and not go broke doing it. Someday,in my retirement, I may open a small brick and mortar store, but today, i am just a guy with more books in my basement than my wife approves of. David Eves Books has been operating on the internet since 1997. We have worked very hard establishing and maintaining relationships with our customers. As a result, we have grown our business and currently maintain approximately 10,000 books on our database. We price our books competitively. We welcome your feedback. We are a general bookstore. 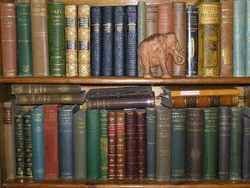 Our stock covers a broad range of books from African sculpture to Zebras and Zephyrs. If you don't know the title or author, search by category, or e-mail us and we will search for your book in our database. For a good portion of the 1990's, our family was interested in the idea of entering the used book business. We are all avid readers, book lovers, and book collectors who cannot pass a bookstore without popping in. Family trips to the library and our local used bookstore were a regularity while growing up. With each of us having interests in different genres (with a little overlapping here and there), we cover a lot of bases. The thought of having a store of our own was appealing, and the hunt was on - both for stock and a location. We thought to combine under one roof many different things that would appeal to readers and book lovers. Not only used books, but some new items as well. Bookmarks (to ward off dog-eared pages), bookends (to keep those out-of-control collections under control), bookplates (to label books on the "Can I borrow that?" circuit to ensure that they always found their way home), book repair tape (to lend a helping hand to collectors with tattered favourites in their collections), and so on. With an interest in book-themed knick knacks as well, we had two sides to our would-be business: books and knick-knacks. Hence the business was born. 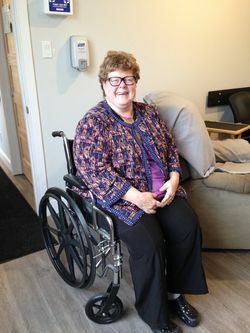 In the early part of 1998 we bought a commercial property, and in the summer we first opened our doors in a storefront in Uxbridge, Ontario, Canada. With start-up stock consisting of a garage full of books hand-picked for just such a venture that we purchased from someone who changed their plans, we were in business. For several years we operated in this storefront, growing our business and learning about the industry and the backbone of it - the customers. It was very satisfying to be present at the end of someone's book quest, as we were quite often. Many a time we heard shouts of joy from somewhere in the shop as customers happened upon just what they'd been looking for (oftentimes for quite a while). At other times, people would approach us with bits and pieces of information that they remembered from long ago favourites in hopes that we could at least help them come up with an author or title to help in their search, which we often times did, with the book in hand. And when we couldn't come up with anything on our own, we would pick the brains of other customers in conversation, or turn to the internet for help for them. For us, quality and selection of stock go hand-in-hand with customer service. One isn't much good without the other. But times, people, places, and lives change and after several years in our storefront we made a change of our own - in 2004 we relocated to the internet. Now a home-based business in Oshawa, Ontario, Canada, we are gradually bringing our inventory online here. We carry used paperbacks, hardbacks, and magazines for both adults and children. We have thousands upon thousands of books that are not yet listed for sale on the internet, but are gradually making their way there.Fully Booked sells on Biblio.com, as well as on other online venues: abebooks.com (as Past Pages), alibris.com (under Lisa Van Munster), amazon.ca (as resurrectedreads), Etsy.com (as OutOfOurHands), and from time to time on ebay.ca (as littleredreadinghood or thebigbadbookseller). I am always looking for rare and/or out of print books. Most of my books are bought at estate sales, auctions and yard sales. I'm another friendly Independent Bookseller who strives for accuracy with same day or next day shipping. 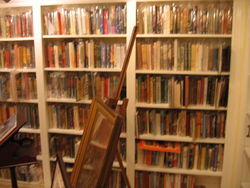 Most books are used and some are rare or out-of-print. I have over 180 catalogs for easier browsing. Most books under $5 will ship in Canada for $5; to the USA for $7. The price will be adjusted when I process the order. Shipping quotes welcomed on all books.Book Grades: As New - No defects. Fine - not as crisp as new. Very Good - Has minor defects. Good - general wear to the book. Fair - will have wear and tear. Poor - Will have complete text present, but there will be major faults to these books. J.H. 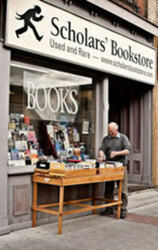 Gordon Books is a small boutique shop in Hamilton, Ontario, Canada selling general fiction and non-fiction titles, classic literature, Canadiana, history, philosophy and social sciences. We sell both reading copies and collectible books. Hello, I've been through a lot of moves in a few years and in doing such, I've had an opportunity to revisit my humble sized booked collection that I grew over the better part of over a decade. In doing so, I've discovered that I have a few books of value that I think could really add to someone's collection! For sale here: mostly turn-of-the-century ephemera, in the $50 to $250 range, with attention paid to both aesthetic and documentary value. For more, visit www.paperbooks.ca for our periodical lists of rare materials in the human sciences, design, social histories, and the avant-garde. Inquiries from private and institutional collectors are always welcome, with a wide range of collection development and curatorial services available. We are a general used and out-of-print book store. We specialize in having interesting books and good competitive pricing. All our books are cleaned. We package them often using recycled material, sometime new material, always well. I sell online only. I purchase books at the lowest possible price and try to list at the lowest selling price. Biblio dealers receive 20% off listed price. 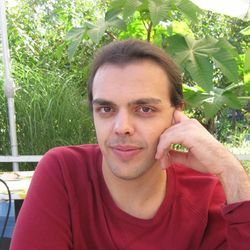 My personal interest is literary fiction, though I sell non fiction as well. 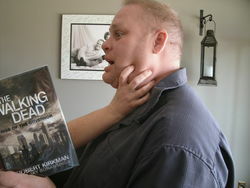 Online-only book sales based in Toronto, Canada. We only sell BRAND NEW International / Eastern Economy / South Asian Edition, Paperback / Softcover with SAME TITLE, AUTHOR and EDITION as listed. ISBN and Cover design differs. ***100% IDENTICAL CONTENT as U.S. Edition. We carry an eclectic selection of collectible and antiquarian books, as well as ephemera (in particular antique postcards from the turn of the last century), all of which are being listed gradually here. Liticular also functions as a print-on-demand designer with clever, customizable designs based on classic literature and music. 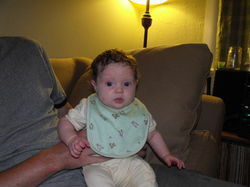 Look for us on Zazzle. Modern First Editions, Fiction, Poetry. Welcome to the Labyrinth. At Minotavros Books, we invite you to discover a maze of knowledge, where you will find fine and rare books on some of the most diverse and intriguing subjects. There is something for every palette, from folklore & fairy tales around the world to alchemy and esoterica, in addition to first editions, fine binding, ephemera and a maze of general interest books. Minotavros Books is a bricks & Mortar Bookstore located in Whitby Ontario. On a journey of discovery, Minotavros Books has been helping people find and procure books for collectors, institutions, and booklovers all over the world. Reading is an adventure. What page will you turn next? Hours and LocationMinotavros Books is open Monday to Friday, from 10:00 a.m. to 4:00 p.m. Weekends and all other times by appointment. We are located at 10 Sunray St., Suite 4, Whitby, Ontario, across from Landmark Cinema's 24. Large inventory of non-fiction and textbooks: physical and social science, history, business and children's books. 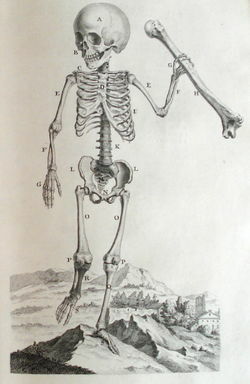 A unique selection of medical works and related ephemora. Since 2000, buying and selling curious and interesting books, online, or by appointment. We are an online bookstore selling mostly good condition used books of merit. We grade our books carefully and objectively, never knowingly exaggerating the condition in order to make a sell. Our store is located in the heart of Toronto\'s Little Italy. It\'s small but well stocked with new items arriving daily. A representative fraction of our total inventory is listed here at Biblio. Please feel free to contact us with specific requests or queries. A small book store specializing in first editions, Canadiana, theatre, film, performing arts, history, and rare volumes in Flesherton, Ontario. 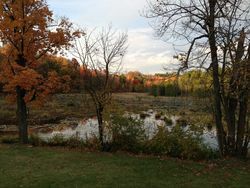 Storybook House is an online used, out of print and antiquarian bookstore located in Southampton, Ontario, Canada, on the shores of Lake Huron. 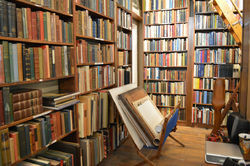 Evolved from a new & used bookstore and cafe created in 1990 we deal in a great variety of fiction and nonfiction titles. We are an on-line bookstore presenting a general stock, with a focus on Modern First Editions and contemporary first edition non-fiction. The Toronto International Festival of Authors (TIFA) is Canada's oldest and largest festival of words and ideas. Since 1974, it has hosted over 9,000 authors from over 100 countries, including 22 Nobel Laureates and countless other award winners. Mandated to cultivate and advance the art of literature, TIFA connects curious readers of every kind with leading authors and provides forums to showcase Canadian talent to the world. Book enthusiast, always with a few extra books that I'm looking to let go of. Online bookseller specializing in books on art, architecture and photography.